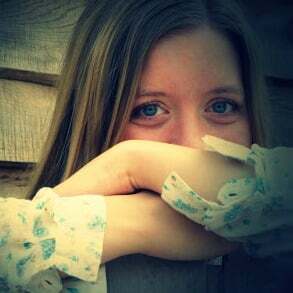 You are here: Home / Essential Oils / What are the best essential oils for YOUR skin type? 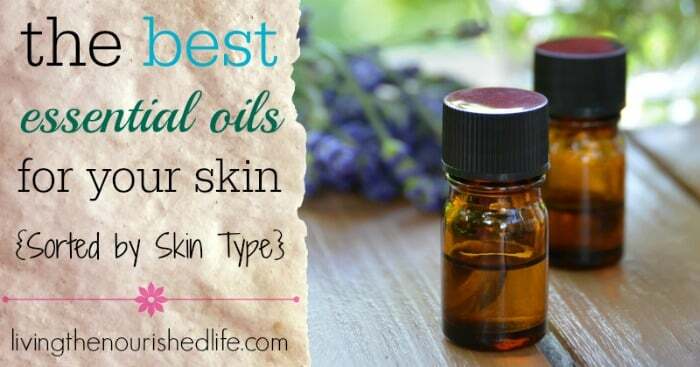 The best essential oils for skin are the ones that are best for your skin. That’s right–I think listening to your body includes listening to your skin. And when it comes to essential oils, different oils cater to different skin issues. And it’s important to know what will work best for your unique skin type! Pure, high quality essential oils can be intensely nourishing and balancing for the skin. So whether you’re dealing with oily skin, wrinkles, or dry patches (or all of the above! ), essential oils are here to help. I love using essential oils in my homemade recipes like my whipped body butter and my homemade toner. 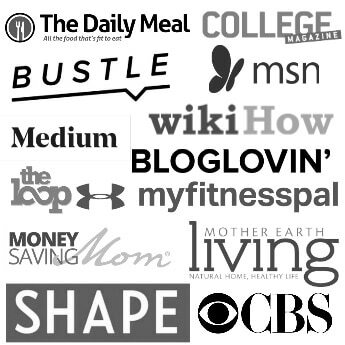 I try to use DIY recipes when I can — then I know all the ingredients are natural and healthy! And these days, it doesn’t hurt to be careful about what’s in your skincare products. But first, you need to know what skin type you have before reading this post. Before I get into which specific oils are best for your skin, I want to give my basic formula for homemade moisturizer. It’s extremely simple and can be easily tailored to your skin type. I use about 10-20 drops of essential oil per tablespoon of carrier oil. So if I want to make a facial serum, I will usually start with 2 tablespoons of jojoba oil, then I will add 30 drops of my favorite facial oils (such as 5 drops melaleuca a., 10 drops patchouli, 5 drops frankincense, 5 drops bergamot, and 5 drops ylang-ylang). Following this basic formula, you can use your favorite moisturizing oil and add the best essential oils for your skin type. Feel free to mix it up and experiment! Everyone’s skin is a little different, so the perfect blend for you might be different than what works for someone else. This is especially important when you might be dealing with more than one skin type (such as aging and sensitive skin). You can mix and match essential oils in your recipe to make sure you have all your bases covered. I usually keep my facial serum in amber dropper bottles like these. The amber color protects the oils from direct light and the dropper makes it easier to use just the right amount (usually 1-2 drops is plenty for my face — you might need 3-4 if you have very dry skin). You might notice a few oils that land on more than one list. Essential oils are pretty awesome! Their skin-supporting properties can sometimes be used to help different skin types. Lavender is probably one of the most versatile! It can be used for pretty much any skin type. If your skin tends to be dry and chapped, a deeply moisturizing oil like shea butter or cocoa butter is a good base. Argan oil and rose hip oil are also good facial oils for deep moisture. For this I would recommend a base of jojoba oil, since it is nourishing for dry skin but still tends to be friendly to oily skin. I use these in my serum recipe for toning and brightening the skin. Simply use 3-5 drops each per tablespoon of carrier oil, and you have the perfect skin-toning moisturizer if you tend to need help with uneven skin tone. Use twice a day or as needed. Ready to learn more about essential oils? Check out my FREE essential oils class here! What is your favorite essential oil for your skin? Tell me about it in the comments below! Hi Elizabeth! I started making these homemade concoctions bc i have had good results with them and im really phobic of those manufacturing companies chemicals (and lies!). Thank you for the information you are providing! I would like to know more about aloe vera and adding hydrosols to the creams and lotions, what ratio should i addit to carrier and essential oil for each skin type? Have you any knowledge about this? Thank you! For essential oils, a good rule of thumb I use is about 10 drops of EO for each tablespoon of carrier oil or aloe. Some oils, like cinnamon or oregano, need to be diluted even more. Thanks for writing this article. I’m new to using essential oils and this is very helpful. I think I’ve been just about to every book store in my city and none had books on how to use/mix essential oils. Barns and Nobles said I would have to order online and have it shipped to me. I was really surprised. I like how you broke down the skin types and then outlined which oils were better for which. I have combination skin, so I found that there are certain oils I have to avoid. But through it all, lavender has always been my skincare lifesaver. Thanks for the info! Thanks for the article a whole raft of information there. . actually i am searching in google a essential oil which help to reduce my acne pitted sacrs my scars are not that deep so i think they can heal naturally. I’ve been reading a lot about the benefits of oil of oregano for skin ailments related to inflammation, acne, and other irritants. What are your thoughts on that? I can’t comment on specific health conditions per FDA regulations, but I personally love Frankincense for skincare and it’s really brought out the best in my skin. I know that your skin type is very important for what essential oil to use. Do you have any experience or knowledge about the influence of skin color of the effectiveness of essential oils? After being super healthy thru raw organic wheatgrass juicing(ect.) & runng 12-20K daily.Moving from Portland,Ore. To Houston ,in 8 short months have recked havoc on my skin—especially my face(super dry—darker spots & extra sensitivity & a wartish type ear growth-I had removed!! I want to bolster & rejuvenate my skin from inside out.What essential oils would be comprehensivly helpful? Fabulous article BTW—much appreciated,Ted. Whew, that’s a lot of running! Being active is great, but remember that it can be a burden on the body if overdone. Between that and moving, it might have just been too much on your body. I recommend trying the lemon, lavender, frankincense combination (you can also use elemi instead of frankincense if needed) with rosehip oil. Also, make sure your body is getting plenty of nourishing foods, a good balance of proteins, fats, and carbs. Skin is built from the inside out, so a good diet and low stress can really help. I love usinf Frankincense but is there anything else you would recommend for scarring from acne? Really helpful article. I was looking to make a homemade mix of all my required oils to wear at night and wanted to be sure there will not be a negative chemical type reaction by doing so. For example I was looking at coconut, almond, avocado oils with frackensense (probs spelt wrong!) and lavender. Do you think this would be OK? That sounds great! Typically oils and essential oils get along pretty well, and blending doesn’t have to be complicated. I love the frank-lavender combo. It’s wonderful for the skin! coconut oil is too rich for the face.. This is what I was told and read many times. The only thing that annoys me about winter is how dry my skin becomes during that season. It’s nice to know that there are six different oils you can use to treat this. I’m always surprised because it’s like organic essential oils can be used to help with anything. For the anti aging serum, are all of the oils listed used together in one batch. How many drops of each one should be used and how much argan oil and rosehip oil to use. Thanks. You can pick and choose between oils. A good basic recipe would be: 1 tablespoon of rose hip oil, 3 drops frankincense, 3 drops patchouli, and 3 drops ylang-ylang. Different people end up liking different oils depending on their preferences and skin type. That’s why it’s good to try some of the different options out and see what works best for your skin. I totally agree with all these things. I have oily skin and the only lemon helps me get rid of it. In fact, I always use lemon when making DIY skincare to treat with my oily skin, It feels really refreshing and soothing to my skin. 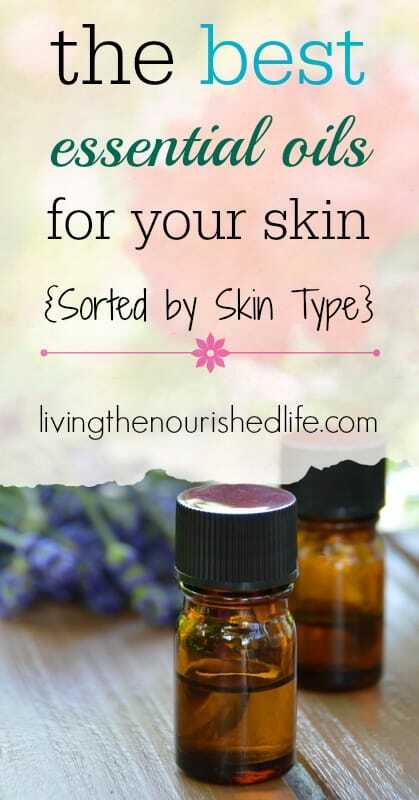 Thanks for sharing these essential oils for skin. I also plan to try other oils with my skin. I was wondering what would be the best mix of essential oil to use if For Combination skin (I get hormonal breakouts) / aging (as I’m 41). My skin is pretty dull at the moment. Or is there one essential oil that would work for everything? Also would you recommend roseship oil for my skin? For combination skin, I’d recommend trying 1 tablespoon of safflower or jojoba oil with 5 drops patchouli and 5 drops orange oil. The carrier oils absorb easily and are non-comedogenic, and the patchouli with orange is perfect for combination skin. Hi, have read the comments. I also have combination skin. I have tried to mix peppermint essential oil and jojoba oil for my face moisturizer. However, I find that it is oily for my skin and tend to be itchy. Is there just one essential oil that combination skin can take? How about other carrier oil? Argan or camellia oil? I like patchouli in general for combination skin. Grapeseed oil might absorb better for you – I’ve had the most luck with that one personally. 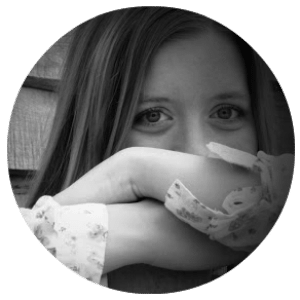 I can’t speak to specific conditions because of FDA regulations – but I love the soothing properties of lavender and copaiba. Loved this! I’ve been wanting to use essential oils for a long time but never really been sure how to get started. I have a starter kit sitting in the bathroom drawer…reading this has prompted me to dig it out and finally give it a go! Some of the oils listed (all citrus oils and some others) should never be used on the skin if you are going to be in the sun. They are photo reactive and will very quickly result in a severe sunburn. Very irresponsible article to leave this out when recommending many of these oils to be used on the skin. You’re correct, photosensitive oils should be avoided before going in the sun. Diluting heavily helps as well. I honestly thought I’d included this information in the post, but I think I was thinking of a different post I wrote. Thanks for reminding me!